in World Famous Venice Beach California. 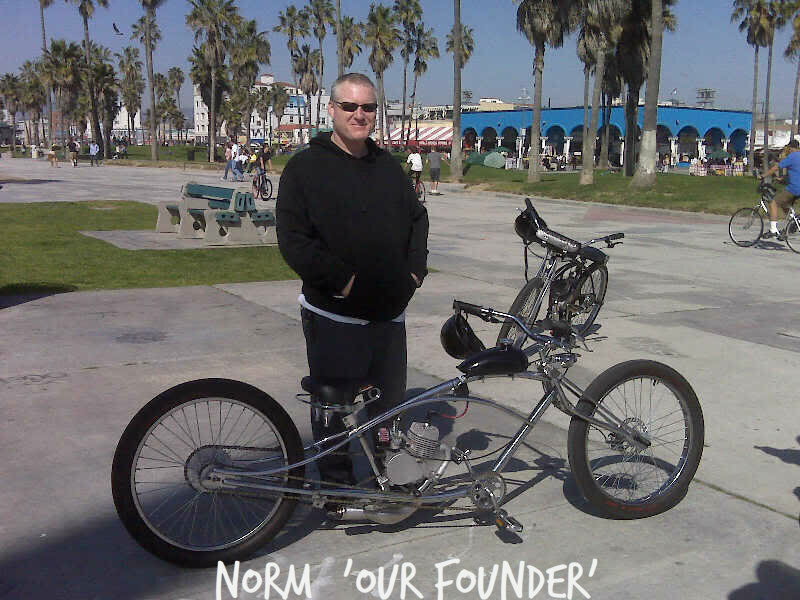 We specialize in building the highest quality custom made Motorized Bicycles anywhere! & can go well over 40 MPH while getting up to 80 MPG. We have a nice selection of reliable motored bicycles that are in stock & ready to purchase today! With todays high gas prices, motorized bicycles are a very smart choice for easy economical transportation. & we feel these make the best (& coolest) motorbikes around. top quality names such as Felt, Dyno, Nirve, Electra & 3G. that no other motor bike builder can ever seem to do reliably! We, at Venice Motor Bikes, are very proud of the reputation that we have built over the years for building top quality motorized bicycles that have given endless miles of trouble free riding to our customers. Venice Motor Bikes has spawned many imitators over the recent years… But we always strive to stay several steps ahead of the competition, & we still build the best motorized bicycles at any price! Are you having trouble building your own motorized bicycle? available for your motorized bicycle project. We also offer full tech support to our customers to assist you with your own motorized bicycle build. We are very pleased with our current engine manufacturers in terms of Quality & Reliability! Bring us your bicycle & we can install a motor on it & get you on the road in ONE DAY! & then search the categories on the top left.